Salud Spanish classes for children are fun and dynamic! 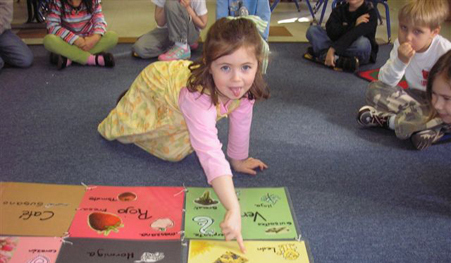 We use songs, games, books and other props in order to fully engage children in the most interactive way possible. We offer private, as well as group classes, upon request, and they may be held in a variety of locations, including homes, parks, library, etc. If you would like to schedule classes, please call us at 360-383-7002 or email Sarah at sarah@saludspanish.com.